I fixed my bike today. Some quick documentation below. Turns out the solution is to just replace the entire v-brake assembly, and in fact you only have to take out two bolts to do so! 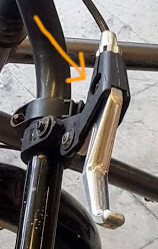 Wow, so much easier than all my careful ziptie-ing and plier-ing open the metal piece. 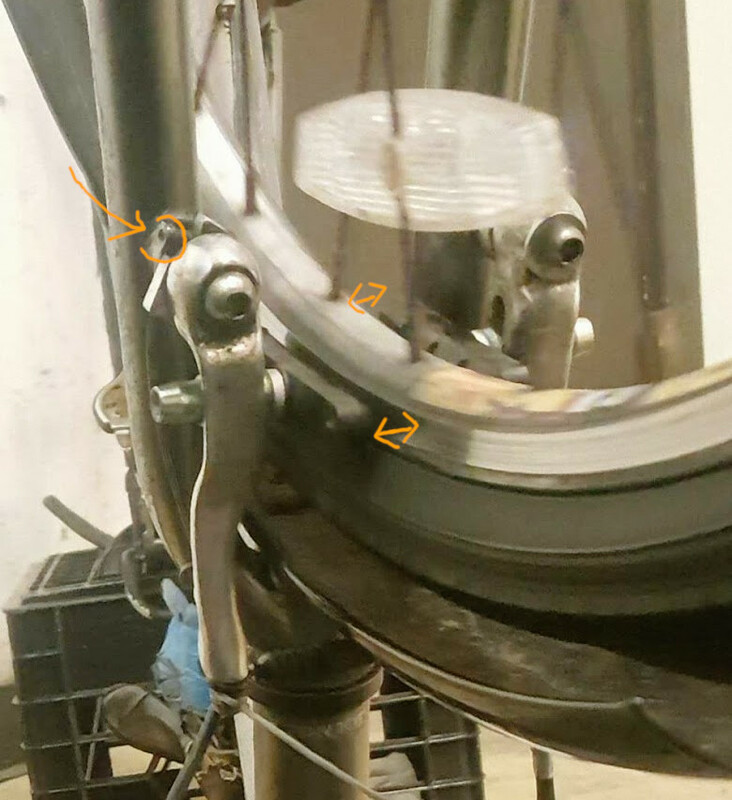 There were three settings, which kind of controlled gross-ly what the distance between the brakes was possible. I adjusted the cable to the maximum I wanted them to be (allowing clearance for my rather wobbly rim, which is far from straight… I in fact had to tighten my spokes as far as they could go in some cases, and a few spokes have even broken off. But the rim is still clearly bent in places). After that, I put the metal “springs” on. 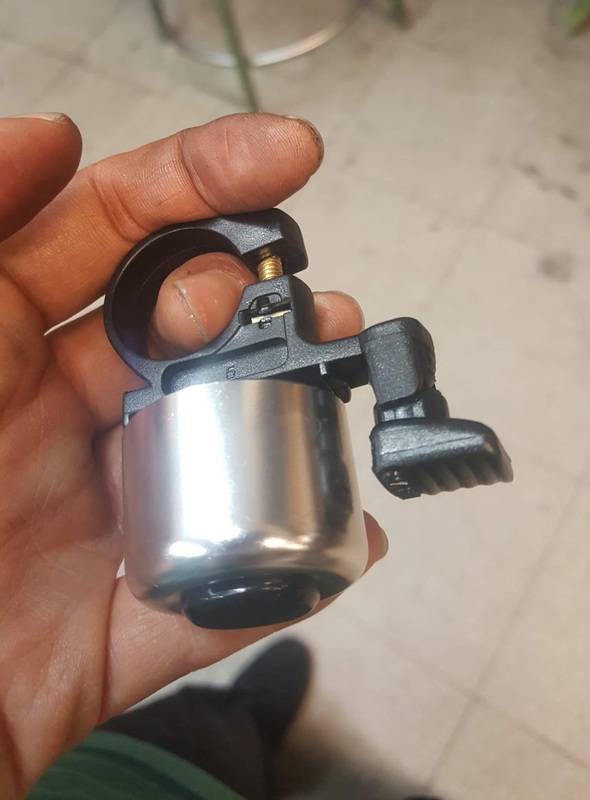 They provide restoring force, so that after you apply the brakes, the brakes open again by themselves. (They’re the long wire, bent and stuck behind a pin sticking out. 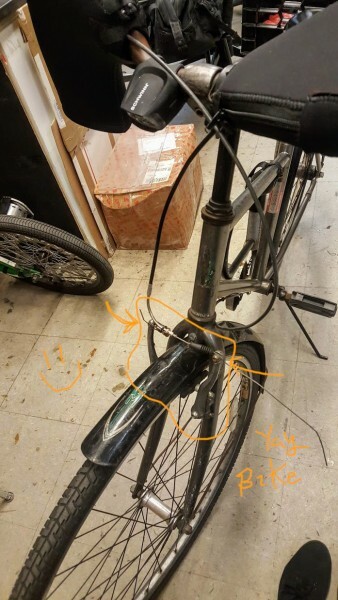 I labelled it with an orange arrow in the pic below, with other arrow showing the direction the wire wants to go. 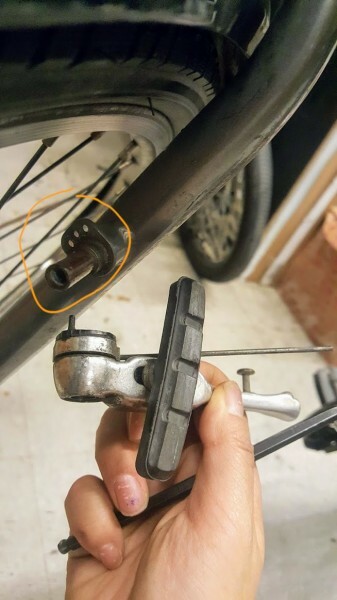 Finally, I used a little allen wrench to adjust the spacing between the brakes, so that it was roughly centered over the rim. Wow, it’s so much easier to understand how V-brakes work when you have reasonably working brakes! 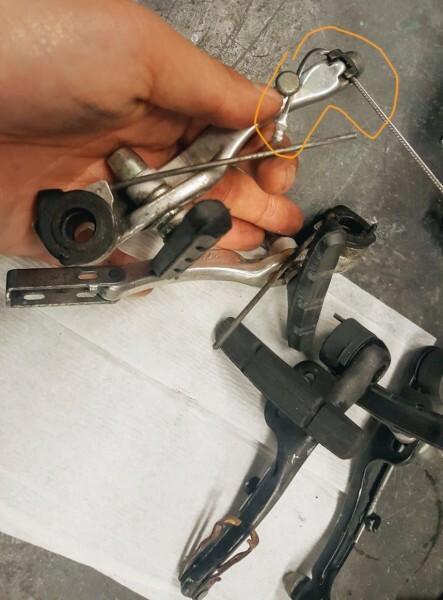 I had thought that centering the brakes and getting them to return properly was black magic, and resigned myself to having my brake pads constantly rubbing against the rim on one side or the other, in order to have a “trigger until full brake” margin I was comfortable with. 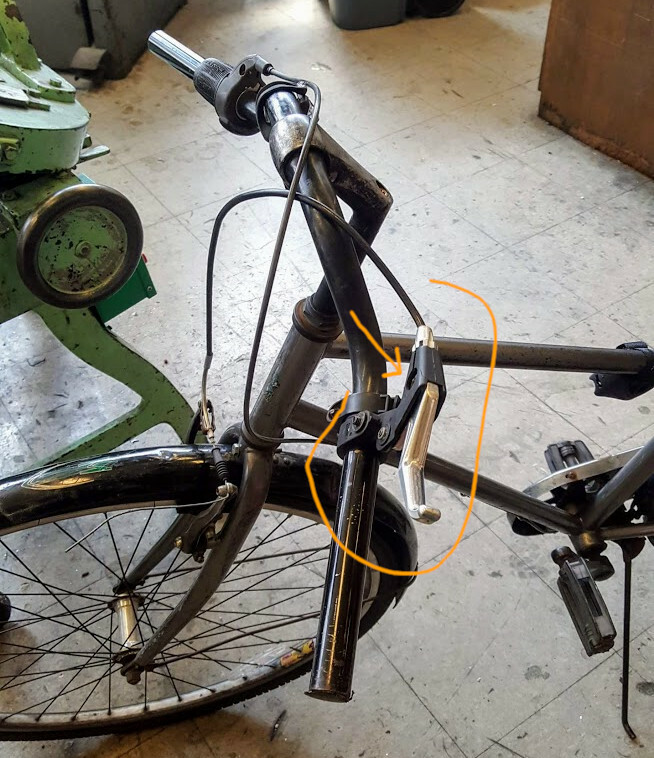 By adjusting the relative strength of the two sides, you can control what the brakes look like when they’re opened, so one side isn’t rubbing. 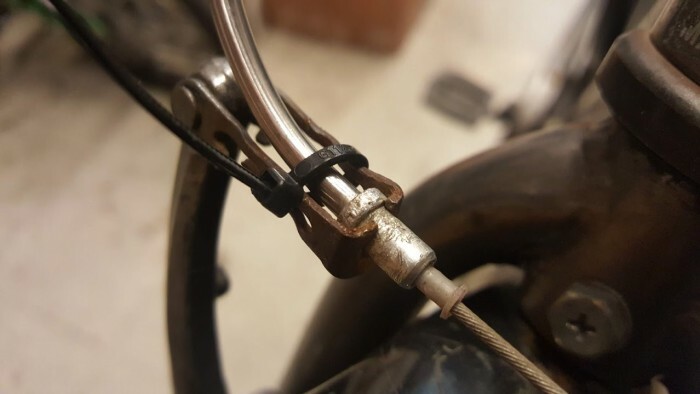 I also discovered that it’s actually fairly easy to get the brake cable on and off the handlebars. There’s a hole underneath that makes this a lot easier than whatever I was doing. 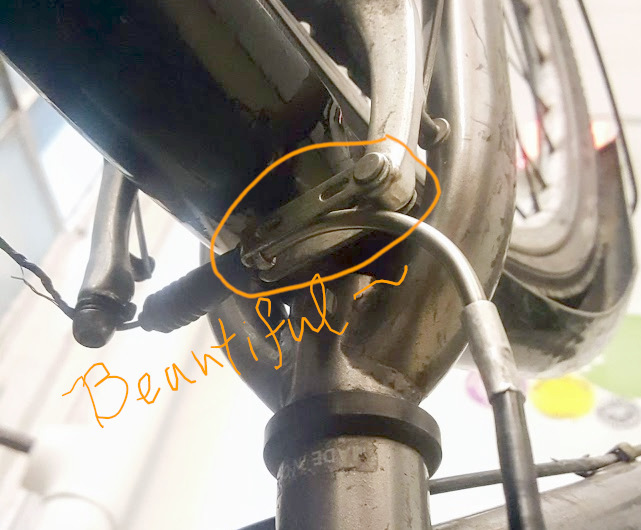 Anyway, turns out there’s a whole drawerful of these bike parts at miters — not pictured here. Instead here’s two other drawers of parts… so many bike parts! They’re probably all from the era a decade ago when welding art bikes and making weird bikes was popular at MITERS. Especially now, Boston is putting in a lot of really nice bike lanes which are on the *right* side of a line of parked cars. However this means that you have to watch out for bikes when getting out on the passenger side, which people aren’t used to. People will stand around with their coffee, or wait in the middle of the bike lane for their lyft… Also some of the bike lanes are on the sidewalks co-existing with pedestrians, and then you always have the toddler on the escape running across the bike lanes. It’s always an adventure biking in the city! I probably lose 100 karma points every day I bike, weaken my heart from stress cancelling out my strengthening it with exercise. But I always feel nice when I stop for someone crossing the sidewalk and they give me a big smile. 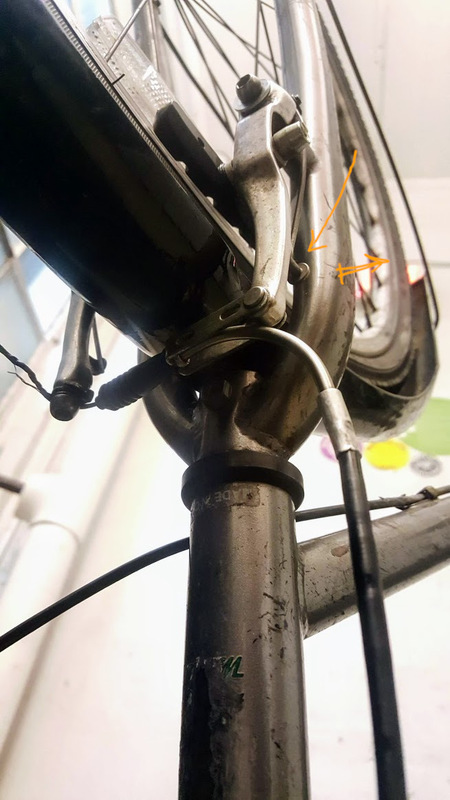 Look at my v-brakes actually holding onto the brake cable! 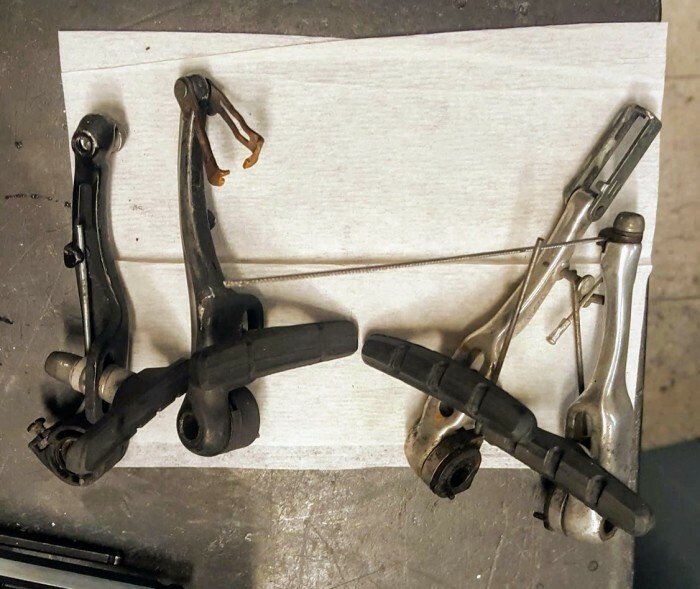 Later I had to go change the brake pads, since the ones that came with these brakes were pretty useless (not sure why, they looked fine). But all-in-all, it felt like a productive few hours… I also cleaned off my chain and re-greased it, fixed my gear changing issues, and ordered handlebar tape, since right now mine are bare metal. The previous ones were getting gross and sticky, so I gave up and threw them away. (I couldn’t resist and also got one of those 16 in 1 tools hehe. 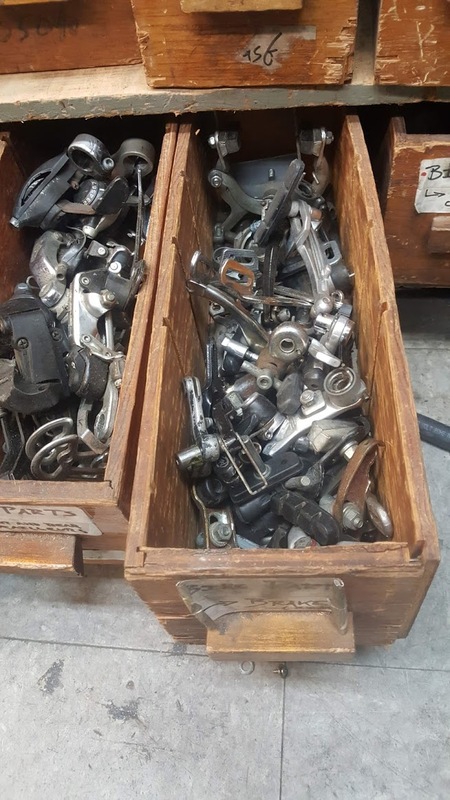 I wanted my own set of bike levers since the MITERS ones occasionally disappear, and this set had some included, albeit metal ones). 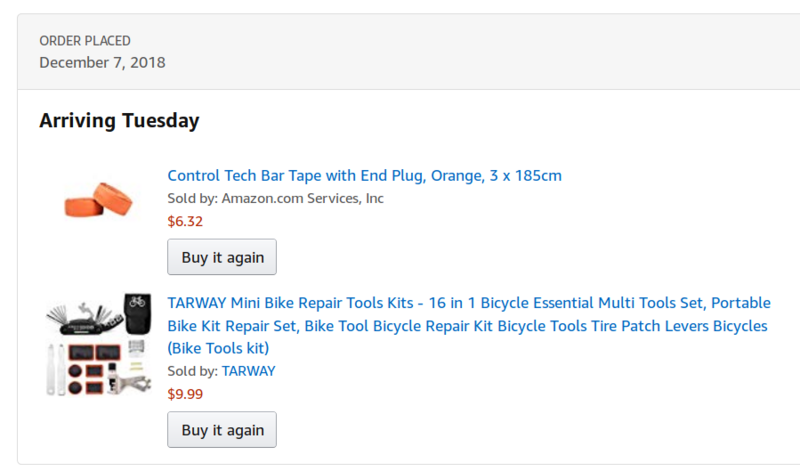 Maybe if I keep fixing my bike with nice parts, I’ll eventually have upgraded the bike ^__^ I really want to get a new wheel, so the rims are less wobbly and the rear quick-lock works again. I also worry about the internal gear hub, I want to service it. It sounds a little … crunchy … sometimes, and I wonder if I need to oil it or something. Wow that was a long picture heavy post. I played around with annotating the pictures using my touchscreen… Don’t know I’ll do that again, it was time-consuming. Happy Holidays! I’ll likely be back soon, sooo many posts to write. This was just a fun detour.